OKLAHOMA CITY – Governor Mary Fallin on April 30 signed the Fiscal Year 2019 budget bill (Senate Bill 1600) into law, which includes historic teacher pay raises and increases for public schools as well as criminal justice reform measures that she recently signed into law. The $7.6 billion budget puts significantly more money toward education, mental health services, and public safety. “The budget includes many of the priorities I have called for in my annual State of the State address to lawmakers the past three years. Core services of state government are prioritized throughout the budget. It provides for a teacher pay raise and additional funding for public schools as well as increased funding for mental health and corrections to implement criminal justice reform measures. The legislation also includes additional revenue growth to put Oklahoma on a stable foundation, and reduces reliance on one-time funds. “The budget includes a 19.8 percent increase for common education, the largest appropriation for public schools in state history. The appropriation includes $353 million to fund teacher pay raises that average $6,100 per teacher, which move Oklahoma teacher from last in the seven-state region to second for average annual pay, and from 49th in the nation to 29th. When taking into account the cost of living, Oklahoma teachers will be the 12th-highest-paid in the country. It also has $52 million for support personnel pay raises, $24 million for flex health benefits; $33 million for textbooks, and $17 in new funding for the school funding formula. $5 million to the Department of Mental Health and Substance Abuse Services – $4 million to fund risk/needs assessments, and $1 million to drug and mental health treatment courts. $4.8 million to the Department of Corrections to fund a new system that will allow the agency to track and monitor offenders on probation in one system, and will allow for shared data regarding offenders to be shared in one database statewide. $500,000 for the Pay for Success program, which reduces the number of women sent to prison and the resulting impact incarceration has on their children. “The budget also includes about $23 million for the Department of Human Services to help Oklahoma’s most vulnerable citizens. This will fully fund the Pinnacle Plan, which calls for improving services to our children in state custody, and restoring provider rates that had been cut, as well as addressing those on the Developmental Disabilities Service Division waiting list. “For the first time in years, no agency is receiving a cut. This budget provides a long-term solution to the re-occurring budget deficits and helps reduce the reliance on one-time funds. The people of Oklahoma expect excellence and demand we solve our state’s problems. This budget provides an opportunity to bring forth an enduring reality for a promising future,” Governor Mary Fallin said. 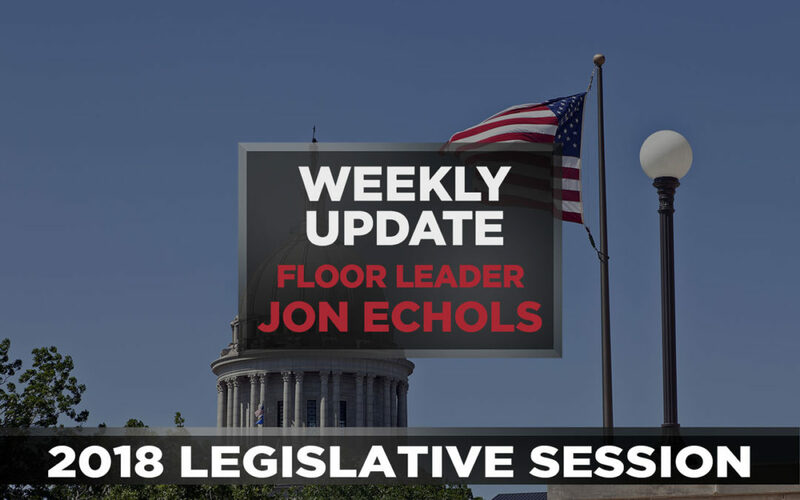 OKLAHOMA CITY – The deadline for members of the Oklahoma House of Representatives to file interim study requests is Friday, June 8. Oklahoma House Speaker Charles McCall will consider each request on the basis of its merits as well as on the committee and staff workloads. In the interest of efficiency similar requests may be combined. Approved studies and related committee assignments will be announced no later than Friday, July 13. Studies are typically held from August through October. 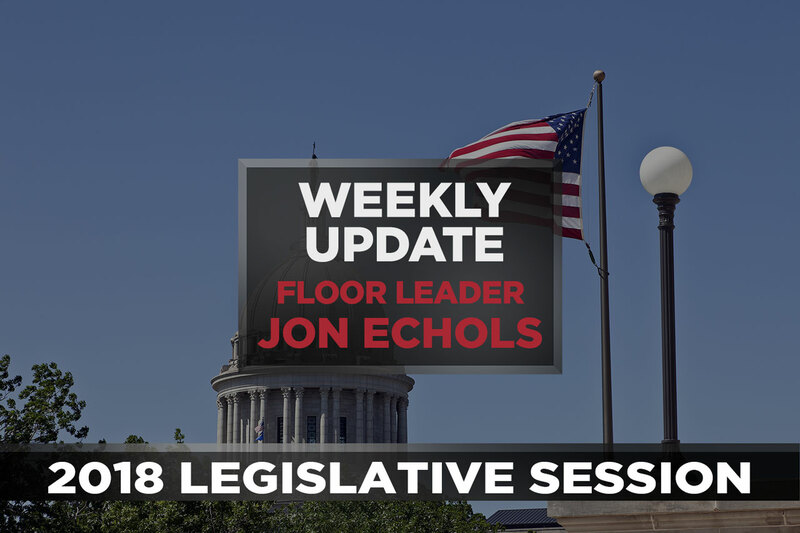 OKLAHOMA CITY – House Speaker Charles McCall (R-Atoka) issued the following statement Wednesday after the House of Representatives passed House Joint Resolution 1029, which disapproved seven proposed rules promulgated by the Oklahoma Ethics Commission. The resolution passed out of the House by a vote of 64-27 and now heads to the Senate for consideration. “All state agencies have only the authority granted to them in their enacting language, whether that enacting language is statutory or Constitutional. The Commission’s scope of authority for rulemaking provided in the Constitution is clear, and we believe these rules overstep that authority. The Commission does not have the authority to promulgate rules that dictate the economic opportunities of private citizens, which is what lawmakers and public employees become when they no longer work for the state, nor should they. When any agency oversteps its Constitutional authority to promulgate rules, the Legislature has an obligation to stand for the rule of law. OKLAHOMA CITY – State Rep. Steve Vaughan, chair of the Oklahoma House of Representatives’ Transportation Committee, today praised the unanimous passage in both the House and Senate and the signing into law by the governor of three House bills he authored this session. House Bill 2651 permits Oklahoma’s public safety commissioner to choose training material from Truckers Against Human Trafficking for education purposes to distribute to commercial truck drivers applying for Class A, B or C licenses. The material includes training on recognizing, preventing and reporting human trafficking. House Bill 2650 requires a merge-now traffic-control device to be placed in accordance with the standards set by the Federal Highway Administration’s Manual on Uniform Traffic Control Devices. Current law requires the device to be placed no greater than one mile nor less than 1,500 feet in advance of a highway construction or maintenance zone. House Bill 2915 renames portions of roads and bridges to honor local heroes in various places throughout the state. OKLAHOMA CITY – More Oklahoma Lottery improvements became law this year, including a bill projected to increase education funding by up to $6.5 million a year by allowing lottery tickets to be bought with debit cards. Senate Bill 1303, by Senate Assistant Majority Floor Leader Eddie Fields and Rep. Chad Caldwell, modernizes lottery player convenience by allowing debit card purchases of lottery tickets at lottery retailers. The bill was signed by Gov. Mary Fallin on Wednesday. Nationally, studies have found annual debit card transaction volumes have been climbing while cash withdrawals via ATMs have been decreasing. An estimated 80 percent of U.S. transactions are now cashless. Embracing consumer shifts to non-cash payments is necessary to carry out growth initiatives to maximize dollars raised by the lottery for education in Oklahoma. The lottery projects the debit card option will grow sales and cause an increase in funds sent to education of $3.5 million to $6.5 million a year. SB 1303 only authorizes debit card sales of lottery tickets; it does not authorize credit card sales. The bill comes after the Legislature last year passed and the governor signed HB 1837, which sends more lottery revenue to education by allowing the lottery to offer larger payouts that improve sales and ultimately send more money to public schools. With HB 1837 in effect, lottery sales are already up 46 percent this year, which is projected to produce an increase of at least $13 million, or 20 percent, in the lottery’s contribution to education next year. The lottery is on track to deliver on its projection of sending $110 million in new funds to education in the next five years. Since its inception, the Oklahoma Lottery has sent $841 million to education. In addition to SB 1303, the Legislature this year also sent the governor two other lottery improvement bills, SB 1134 and HB 3538, that were signed into law. All three bills take effect Nov. 1. HB 3538, by Caldwell and Fields, allows second chance drawings to be redeemed online instead of only by mail or in person, as required today. SB 1134, by Sen. A.J. Griffin, R-Guthrie, and Osborn, enhances security efforts to maintain the integrity of lottery games. OKLAHOMA CITY – Governor Mary Fallin today requested a U.S. Small Business Administration (SBA) disaster declaration for Dewey County to assist those impacted by wildfires that occurred April 11-20. If approved, the governor’s request would bring SBA low-interest disaster loans for homeowners, renters, and business owners to repair or replace any property damaged by the fires that was not covered by insurance. The loan program would also be available to assist businesses that sustained economic losses due to the fires. Under SBA rules, counties contiguous to Dewey County would also be eligible for assistance, including Woodward County, where additional fire damage was reported. Damage assessments found more than 70 homes and businesses affected by the fire in Dewey County. Of those, 27 homes and businesses with major damage were identified as uninsured and may be eligible for SBA’s program. Two deaths and multiple injuries were attributed to numerous wildfires that burned more than 350,000 acres statewide in April.